Yasmin Shiraz is nothing if not busy. Lucky for young readers, she’s found time in her career to make addressing their needs a priority. 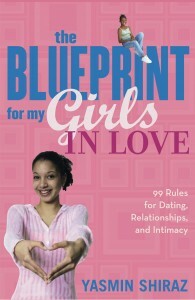 The author of the Blueprint for my Girls books, Shiraz is a motivator whose goal is to emower and enlighten teens. I talk to the author about her YA debut, Retaliation. BBS: The first thing I noticed, is you wear a lot of different hats outside of being a writer including: CEO of Still Eye Rise Pictures, CEO of The Signals Agency Activist and Speaker. How did you find the time or space to listen to the voices of your latest novel in the midst of all that you do? 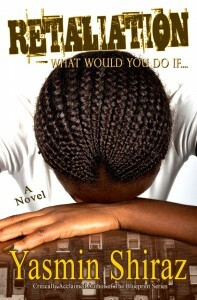 YZ: The story that inspired Retaliation came as a result of a workshop that I had done with teen girls in Southeast DC. When I asked young women in the room, “What do you like, what do you love, what do you hate?” a teen girl responded, I hate the girls who jumped me. I couldn’t get her voice out of my head. So, the books that I write and movies that I produce speak to me so much that I will hear the inspiration whether I “want to” or not. BBS: How has heading a niche marketing firm helped you as a writer? How has it challenged you? YZ: Running The Signals Agency helped me to know how to market myself. It allows me to know how to brand “Yasmin Shiraz.” So as I made the transition from hip hop magazine publisher, to author, to speaker to filmmaker, I’ve been able to maintain my Yasmin Shiraz brand the entire time. My brand is always about empowering young people. So I market myself accordingly. BBS: Prior to Retaliation, you wrote two Blueprint for My Girls books – self-help books for multi-cultural teens, what inspired the move to YA fiction? YZ: The conversations that I would have with teens during my Blueprint for My Girls workshops inspired Retaliation. I stay engaged and connected with teens across the country. I am always listening to their voices. So when I hear something that resonates with me, I know that the world needs to hear it. Non-fiction can be intimidating to some and so I wanted to write a fiction book that my teen fans would literally LOVE to read. BBS: Sometimes YA novelists take a hit from parents for the gritty, all-too real portrayals of teen life that adults would like to ignore. Do you believe it was a benefit to come at YA fiction from the non-fiction side? Do you believe some gatekeepers see you as a more credible voice because of your non-fiction work? BBS: Retaliation is a story about the aftermath of a brutal girl-on-girl attack – why this topic? What doesn’t the general public know about girl fights that Retaliation may shed light on? YZ: My novel Retaliation aims to shed light on how no one really wins when retaliation against others is the focus. I don’t think the general public realizes how violent girls and young women have become. The number of women incarcerated continues to grow annually at an alarming rate. BBS: You have an obvious passion for young adults, how do you approach writing for them differently than your adult fiction? If there is a different approach. If there isn’t, which do you enjoy more and why? YZ: When I write for young adults, I’m really trying to give a voice to their experiences. I lean a lot to my conversations with young people, my workshops, emails and letters. I pull my stories from real inspiration from the youth that I deal with. When I’m writing adult fiction, I am more inspired by my life experiences. I live a pretty exciting life and so my adult fiction will always reflect fictionalized characters that are inspired by what I’ve really seen and done and the interesting people that I’ve met along the way. I don’t have a preference between young adult or adult, I just want to write books that are important and have the power to influence a person’s life. BBS: What’s next for you, where writing for young adults is concerned? YZ: I’ve already completed a new book, so right now I’m finalizing launch dates for it. I’m also promoting my first film, Can She Be Saved? which deals with fights among teen girls. BBS: Choose a side in this debate and give us your closing argument on the point: Should brown books fight to be mainstreamed or should people of color “be happy” with just making sure other people of color know about their books? YZ: Brown books should fight to be mainstreamed because people who are not people of color need to read and understand our stories. When a white person reads Retaliation and tells me that they didn’t know that this kind of aggression or violence existed among young girls, it affirms that Retaliation had a higher purpose. All people should read books from different genres to expand their awareness of the world. Insightful interview with Yasmin. It’s great to see how dedicated she is to making a difference in the lives of young women. WOW, thanks for a good interview; I hope to see more YA from Ms. Shiraz. Marketing very definitely is something that will strengthen her ability to get her message out. In books and blogs we’ve all been speaking so much about covers that don’t do novels about characters of color justice — Retaliation is absolutely beautiful. It shows so much without disallowing the reader’s imagination, and I know people looking at it immediately want to pick it up. Tanita, I agree about Retaliation’s cover. Sometimes we get so caught up in the race thing that we forget a cover is supposed to be connected to the story within. And if it is, it should be more powerful than the race of the characters. I’d love to see covers get back to reflecting the story. Thank you for spotlighting Yasmin Shiraz, I am unfamilar with her work but I fully intend on reading Retilation. I too, like the cover. I love 28 Days Later, thanks for another great interview! Great interview. It’s tough writing YA. Yasmin, thanks for all you do to empower teens. I watched a documentary on girl fights. Heartbreaking. I appreciate your raising awareness of this issue through your novel, Retaliation. And I agree. The cover of your book is powerful. Great interview!